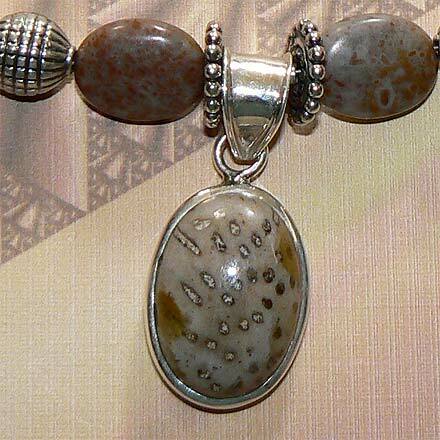 Sterling Silver Fossil Agate Necklace. See Closeup. 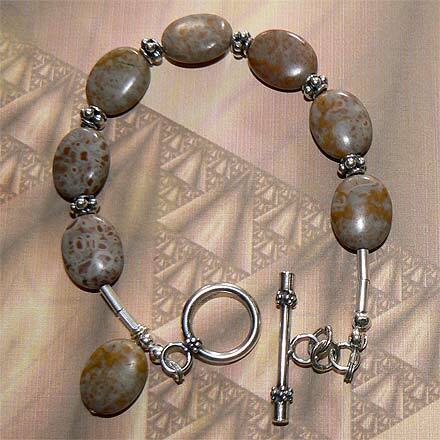 Sterling Silver Fossil Agate Bracelet. The cute little pendant was called "Plant Fossil." I don't know what kind of plant, though. It has interested patterning, sort of like leopard spots. 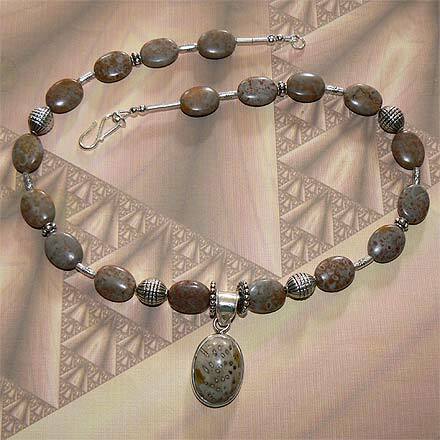 The beads are called "Fossil Agate" and they coordinate very well. The earrings carry through with the plant theme with flower motif headpins and earwires. For those who are interested in Astrological significances of stones, Dendritic Agate corresponds with Capricorn and Gemini and Moonstone corresponds with Cancer and the month of June.